The weather is getting colder and the holidays are fast approaching, so I thought I'd share something to brighten your day! 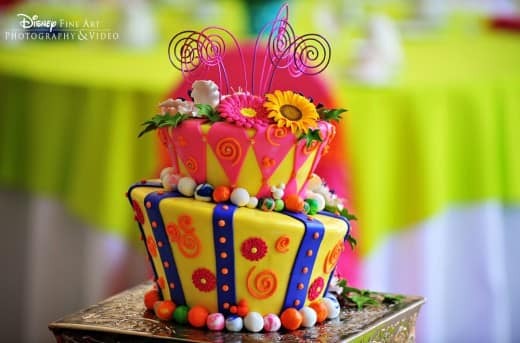 Mad Hatter cakes are one of our most popular styles and no two are ever created alike! Can you spot the Hidden Mickeys strategically placed on this scrumptious dessert?